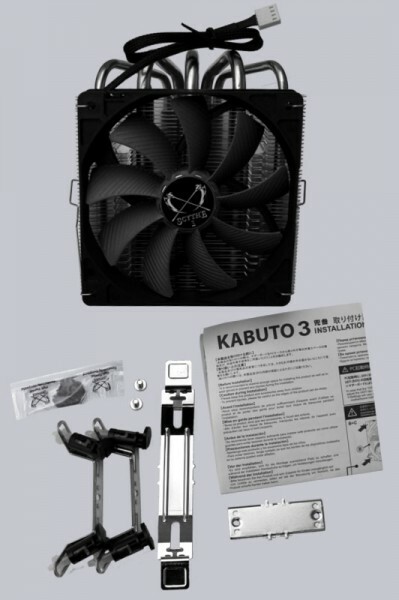 This time we got our hands on the Scythe Kabuto 3, the revised version of Scythes 120mm top blow CPU cooler. The cooling concept stayed mostly the same, but design and the heatpipe construction have been reworked radically. Four of the overall six 6mm heatpipes have been replaced by three 8mm heatpipes, reducing the total number of heatpipes to five. On the next pages we show you how the new Scythe Kabuto 3 performs. Many thanks for the support of Hipp0campus and the manufacturer Scythe. 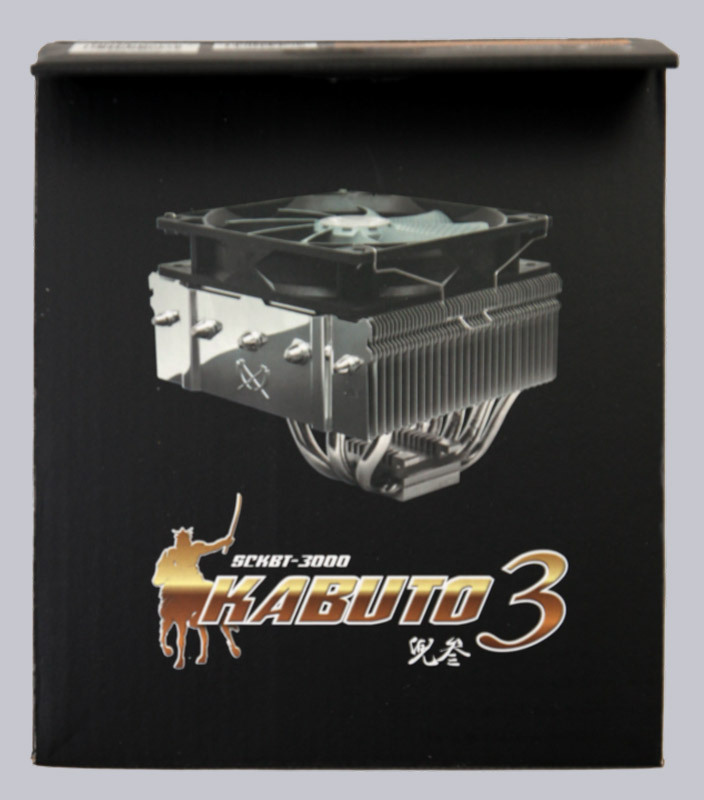 Currently the Scythe Kabuto 3 is being sold for about 45 Euro (09/2016). 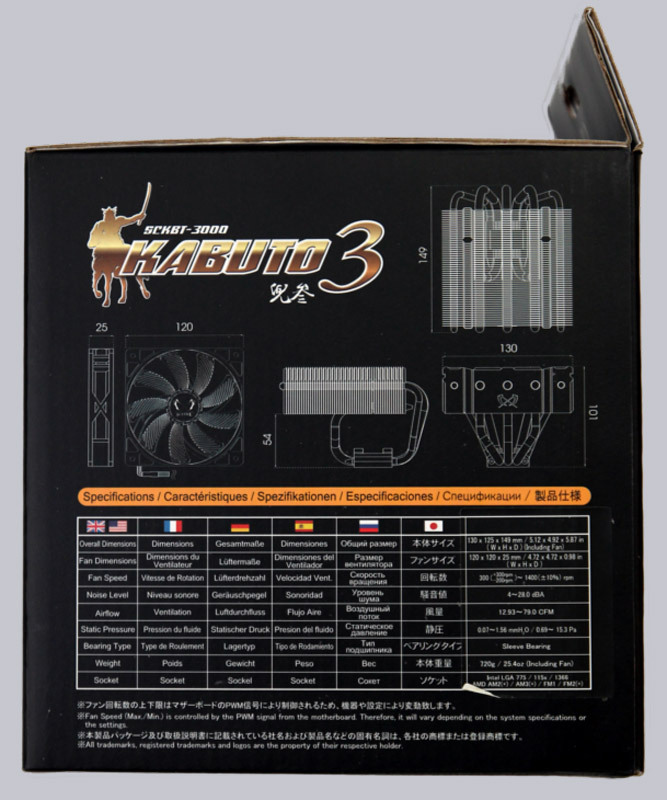 Here you can buy Scythe CPU coolers. 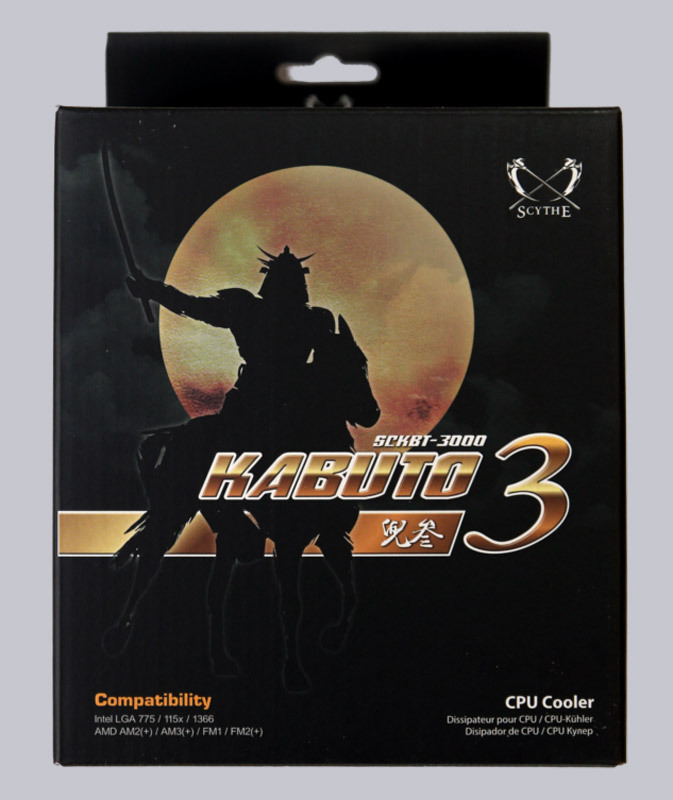 It’s only consistent to show a Samurai on the packaging, because the cooler is named after the traditional helmet of the japanese warriors. After turning the box you find a picture of the cooler on the top side. On the side you can see some technical drawings as well as some important details. Because of the stock mounting system with push-pins (Intel) / lever (AMD) the supplied accessories of the Kabuto 3 is very clearly. There are no extras except a packet of thermal paste.